Self-esteem is one of the most important qualities in the form of those human beings who keep walking every day. Self-esteem is difficult to keep and rebuild, but it is very easy to overcome. Everyday society has the struggle to determine whether it is real and what has been enhanced in our daily media. People of all ages are influenced by the ideal media images and models on television leading society, believe that these unrealistic views should be shown to us individually. These images of the affected beauty are moving towards society toward less self-esteem, depression and eating disorders. 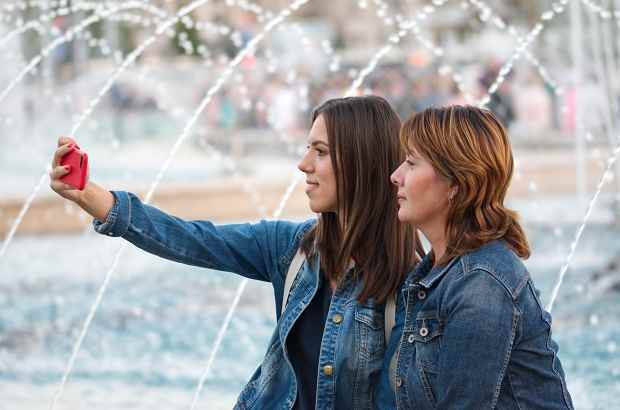 A selfie is taken with a self-portrait picture, usually, a smartphone which can be held in hand or supported by a selfie stick. It is shared on social networking services like Facebook, Snapchat and Instagram. Taking a selfie is not bad, it's fine, there is no problem, but selfish addiction is very dangerous for physical and mental fitness. 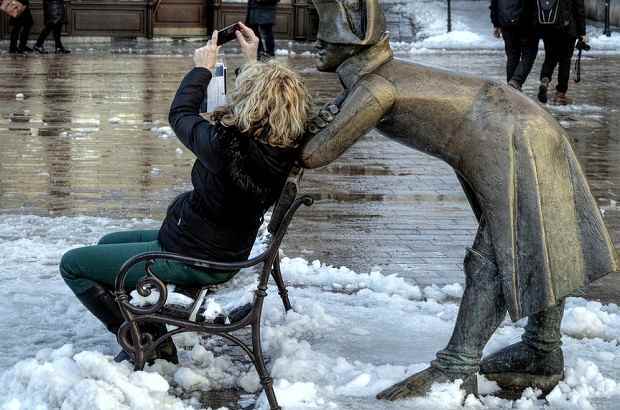 Because, 'Selfitis’ is a real mental state and those who feel forced to post pictures on social media themselves may need help, psychologists have warned. A few years ago, stories came to media in the media claiming that the status of ownership and the condition of selfitis was to be classified as a mental disorder by the American Psychiatric Association. Now researchers have confirmed that "self-reliance" actually exists and even 'voluntary behavioral scale' has also been developed, which can be used to assess its seriousness. While the story was revealed in the form of fraud, it did not mean that autonomy was not present. Now they have come to confirm their existence and have developed the world's first voluntary behavior scale to assess this situation. Recently, researchers from Boston Medical Center (BMC) have published a study report in a journal "JAMA Facial Plastic Surgery" (The JAMA Network) titled "“Selfies—Living in the Era of Filtered Photographs". In this article, they have argued, "the physical" completion "level seen on famous person or beauty magazines, with the spread of photo-editing technology through applications such as Snapchat, Instagram and Facetune, is now available on full social media. Since these images are ideal, the perceptions of people of beauty around the world are changing, which can take a toll on a person's self-esteem and the body can trigger dysmorphic disorder ". How common is body dysmorphic disorder? Body dysmorphic disorder (BDD) is highly engaged with a perceived defect in appearance, at a time when people are generally more sensitive about their appearance. There is often a specialty for people going to great - and sometimes unhealthy - length to hide their imperfections. In other words, it is characteristic of a mental disorder obsessive thought that some aspect of the body or part of the same body is seriously defective and extraordinary measures to hide the warrant or to fix its ugly part on his person. Body dysmorphic disorder is estimated to affect up to 2.4 percent of the world population. In addition to thinking about it, once again checks and compares the perceived defects, and can avoid an unusual routine to expose it. Fear of stigma of vainness usually hides outbreak. It can involve skin picking and hoping to change their appearance, engaging in repetitive behaviors like visiting dermatologists or plastic surgeons. The disorder affects about 2 percent of the population and is classified as an obsessive-compulsive spectrum. It generally starts during teenage and adolescence and affects both men and women. BDD subtype muscle dysmorphia affects most men, considering the body as too small. It is identified as a hidden disorder because many people with BDD are embarrassed to reveal their main problem. Generally unexpected by psychiatrists, BDD has been diagnosed. Severely harmful quality of life through academic and professional inefficiency and social isolation, BDD has high rates of suicidal ideations and suicide attempts. According to the researchers, teen girls who had tampered with their pictures were more concerned with the presence of their body, and people with dysmorphic body images wanted to find social media as a means of verification. Additional research has shown that 55 percent of plastic surgeons report is seeing patients who want to improve their presence. But he has also mentioned in his study that surgery is not the best way to act in these cases, because this will not improve, and the underlying BDD may be bad. They recommend the management of cognitive behavioral therapy and disorder such as psychological interventions in a sympathetic and non-judicial way. Neelam Vashi, director of the Ethnic Skin Center at BMC said in a statement: "A new phenomenon, called Snapchat dysmorphia, has popped up, where patients are looking for surgery so that they can help them. Filtered versions of themselves. Filtered selfies can lose contact with reality creating the expectation, we are supposed to look into it perfectly primped all the time. It can be particularly harmful to teens and people with BDD, and it is very important for providers to understand the impact of social media on body image so that we can give a better treat and advise to our patients.